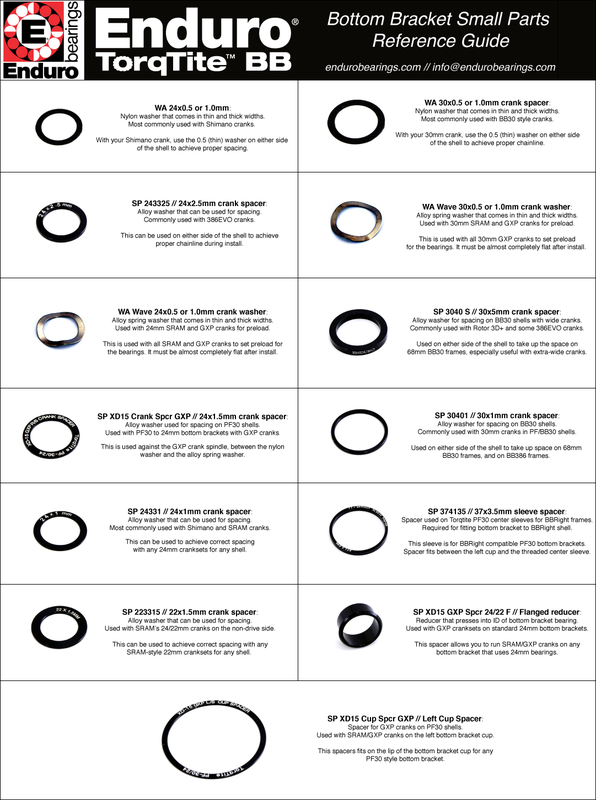 Here you will find a catalog of the bearings and small parts offered by Enduro Bearings. You can look them up in these charts and see their dimensions as well as their capacities. These are the main sizes used in the bicycle industry. Feel free to contact us at info@endurobearings.com if there is anything you can't find on this list.